Guest Post by EVKM Instructor Dr. Sara Ullenbruch, PT., DPT. Hey guys! Dr. Sara Ullenbruch PT., DPT. here to help you improve your ability to deliver a knee strike! There is a lot of movement that goes into throwing a proper knee strike. Focusing on the standing/base leg, the motion needed is; ankle plantar flexion (going up on you toes), knee extension (knee is straight), hip extension and lastly “rotation” at the spine (the vertebra in your spine rotate and extend together to allow for increased motion). In your moving/striking leg, when loading to deliver the knee, your ankle dorsiflexes (heel lowers to ground) then violently push off the ground. 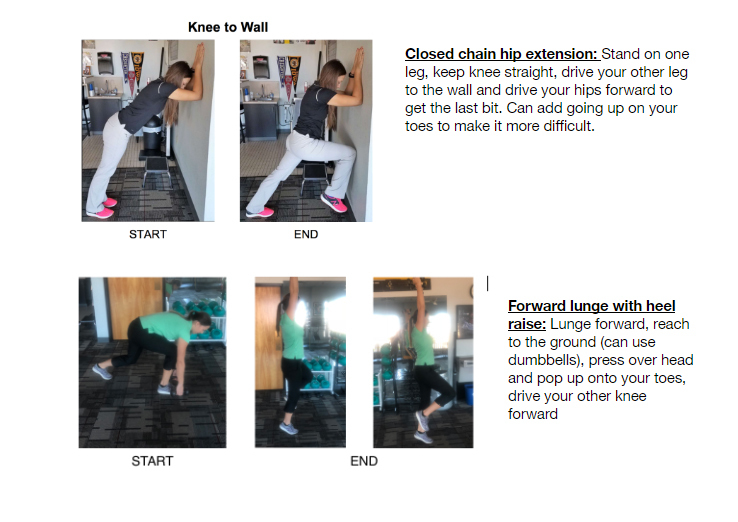 The quad and hip flexor activate to help bring the knee up. The power of the knee comes from your standing/base leg. To improve the power in your knee strikes, your base leg needs to have proper range of motion and strength. Your body responds better to an active stretch because during an active stretch the body constantly gets neuromuscular feedback (brain talks to your muscles). In order to have a good powerful knee strike you need to have good eccentric muscle strength of both you anterior thigh and core (rectus femoris, vastuslateralis, vastusmedialis, iliopsoas, sartoris, rectus abdominus, internal/external obliques). All of theses muscles lengthen while they are working to drive your knee into your attacker/opponent! Power comes from the ground up! The more hip extension you have the less stress that goes into your spine and more range you can achieve. Dr. Sara Ullenbruch teaches and trains Krav Maga at EVKM Self Defense & Fitness and practices as a PT at Functional Performance Center in Tempe, Arizona.